Taste Budds is a gathering spot for local folks and students, both High School and Bard College. They have a full menu, entertainment, coffee, chai and lots of other drinks. Cathy and I both had salads that were terrific. This is an A shop and it is strictly organic. 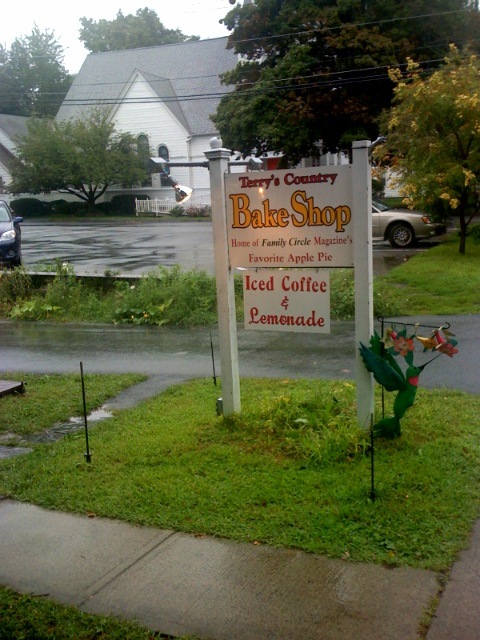 Terry's Country Bake Shop was closed on this rainy day but it looked really Best Best apple pie in East.